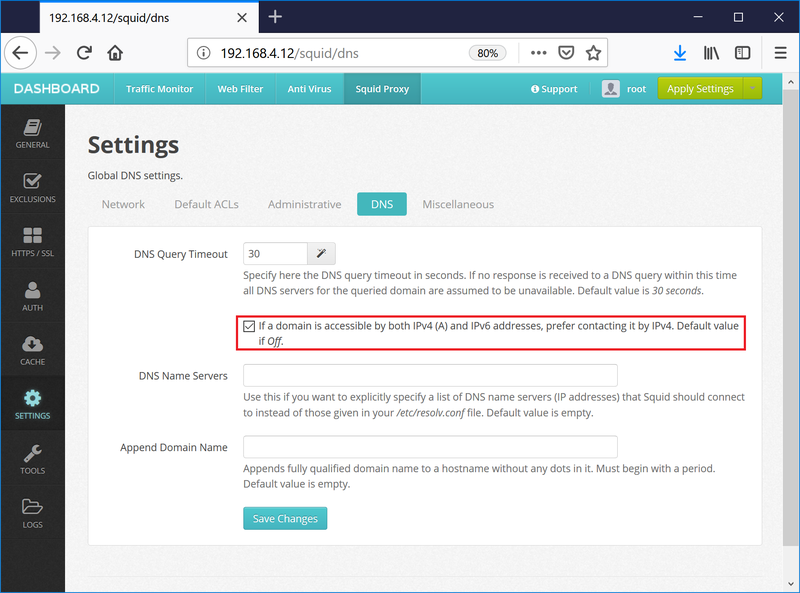 Most probably the remote site you are visiting has configured incorrect DNS AAA entries for IPv6 - it redirects to :: which is treated as localhost in Squid proxy and hence you see the Web Safety UI running on 80 port on the proxy box. Correct solution to this problem is to tell the web administrator of that remote site to fix DNS entries. In case this is not possible, adjust Squid configuration file to try DNSv4 connection first as shown on the following screenshot (this will set “dns_v4_first on” setting in Squid config).